Microgreens are small but mighty, packing a huge nutrient punch in each bite. Here’s how microgreens add a pop of nutrition, color, and flavor to your plate. Microgreens are very young greens. They’re harvested somewhere between 7 and 20 days after the seed has begun to sprout. They're only about 3-4 inches long. All fruits and vegetables, especially leafy greens, are very healthy foods. Microgreens take dark leafy nutrition up a notch. Studies show that very young greens have the highest content of vitamins and minerals to weight—even higher than their mature older brothers. Microgreens achieve this nutrient density because plant germination is an intense process. It begins when a seed meets water and oxygen at just the right temperature. Then the seed rapidly absorbs water and a bunch of nutrients from the soil. Because this nutrient uptake is happening very quickly, and because these plants are still very small, that plant’s first week or two of life is the most nutrient-dense it will ever be. A study comparing lettuce microgreens to mature lettuce found that microgreens are significantly richer (sometimes up to 9 times richer!) in minerals like iron, manganese, zinc, and selenium. Microgreens are rich sources of antioxidants, too, and contain more different types of antioxidants than their mature older brothers. What’s special about Fig Trade microgreens? Fig Trade—the microgreens (not figs) on Sunset Highland Park’s shelves—are flown direct from Israel. They’re 100% hydroponically grown. Hydroponic systems allow the grower to control exactly how much nutrients and water the plants receive. Research shows the amount of minerals in microgreens climbs even higher when they’re grown hydroponically. Fig Trade microgreens are available at Sunset in thyme, arugula, watercress, basil, cilantro, and parsley varieties. How do I eat microgreens? Use them in place of lettuce on sandwiches and wraps. Add them to a smoothie for a flavor and nutrient boost. Swap out some regular greens in your salad for microgreens. Use them in place of fresh herbs. Mix them into pasta for a pop of color. Use them to garnish just about anything! Throw some on top of soups, stews, eggs, chicken, meat, or fish. Stop by the Highland Park Sunset on Sunday, 3/18 or Monday, 3/19, from 11am-3pm to taste the delicousness of Fig Trade microgreens! This year, give the gift of good health. Inspire your loved ones with thoughtful gifts that won’t add to the laundry list of seasonal indulgences. Plus, knock out some of your holiday shopping at the grocery store. Olive oil may already be a pantry staple, but splurging on high-quality oil isn’t something many people typically buy for themselves. For a full-flavored and fruity choice, we recommend DeCarlo Classico Olive Oil. It has elements of almond in flavor, apple in aroma, and pepper in the finish. It’s also packaged in an attractive, refillable ceramic bottle. Similar to olive oil, vinegar is a pantry must-have that many people don’t think much about—but should. A nice vinegar can totally transform a dish. We recommend Aceto Balsamico by Due Vittoria. It’s dense and full-bodied with just the right amount of acidity. Aged in durmast oak barrels, it’s woodsy on the nose and slightly sour on the palate. It’s the type of vinegar your recipient will savor to the last drop. Help your loved one de-stress during the holidays with an elegant lavender plant. Tamed into the shape of a miniature Christmas tree, this calming, classy, and pet-friendly alternative to the poinsettia can be enjoyed long after the holidays are over. Brimming with heart-healthy fats, protein, fiber, and minerals, nuts make a satiating holiday snack that will help offset all those sweets. For something that’s a step above your everyday nut, we recommend Spanish Marcona Almonds by Cocina Selecta. Imported from Spain, they’re rounder, sweeter, and have a more delicate, buttery flavor than typical California almonds. Everyone can appreciate a good bar of chocolate. Gifting dark chocolate raises the bar for health benefits and flavor complexity. We recommend the Pink Himalayan Crystal Salt Caramel bar by Vosges Haut Chocolat. Its smoky, salted caramel oozes out between two layers of rich, 72% dark chocolate. It’s pink gooey perfection. For a thoughtful gift sure to get lots of use, try this 5 piece Bamboo Utensil set by Totally Bamboo. Although most home chefs have at least one of the basic kitchen utensils—wooden spoon, slotted spoon, spatula, etc.—this set ensures your lucky recipient can keep on cooking when their items are in the dishwasher. Perfect for whomever’s hosting Christmas dinner! There’s nothing like unwinding with a warm cup of tea on a cold winter’s night. We recommend Organic Peppermint Bark ‘cool winter’ herbal tea by The Republic of Tea. This caffeine-free blend has a delightful balance of refreshing peppermint, warming cocoa, and sweet vanilla. The perfect calorie-free dessert tea for the holiday season, it will fill your loved ones’ home with the scents of winter. There’s no question that hand washing is important during cold and flu season. Help you recipient stay well the gentle way, without harsh chemicals that can lead to dry, cracked skin. We recommend goat milk soap by Zum Bar scented with frankincense and myrrh. It’s woodsy, sweet, and seasonally appropriate. Fiber-rich and low in calories, popcorn is a mouthwatering snack you can feel good about. We recommend Black Popcorn by Black Jewel Natural Grain. Grown and harvested on small Midwestern farms, the eye-catching black kernels turn snow white once popped. Looking to take your gift up a notch? Gift gourmet kernels alongside an air popper and truffle oil. There’s a big difference between a corn syrup-based “pancake syrup” and real maple syrup. Despite the colossal difference in quality, many shoppers aren’t willing to splurge on the good stuff. We recommend Hilltop Sugar Bush for 100% pure Wisconsin maple syrup. It also comes in a sculptural bottle that adds some pizzazz to the pantry. Eating may be the reason for the season, but there’s a fine line between feeling pleasantly fed and gorging yourself to the point of agony. Here’s how to stay in control this year. Have you ever walked into the kitchen starving, opened the fridge, and ate the first thing you saw (and the second, and the third…)? That’s not how you want to approach Thanksgiving dinner. It’s tempting to arrive at dinner famished in preparation for the big meal. However, our ability to make good decisions tends to break down once we become too hungry. Instead, eat your typical breakfast, a light lunch, and if needed, a healthy snack a few hours before dinner. Focus on fiber-rich foods like fruits and vegetables to keep calories in check and hunger pangs at bay. Our stomachs can’t count. Our memories are even worse at math (i.e. have I eaten two bacon-wrapped dates or three?) Leaving your hor d’oeuvres’ skewers, toothpicks, shrimp tails, and chicken bones in-sight provides tangible evidence of how much you’ve eaten. Research shows these visual reminders help us eat less. Researchers at Cornell University gave Superbowl party-goers a bucket of chicken wings. For some party-goers, researchers cleared away their bone scraps. For others, researchers provided a bowl to put bone scraps in, and left the bowl on the table. Not surprisingly, those who were forced to look at their bony remains ate 28% less. We tend to eat less mindfully when we eat at social gatherings. Eating with others is part of the fun of Thanksgiving, but don’t let your company cause you to overeat. When your mind is focused on your sister-in-law’s vacation photos or your cousin’s funny story, it’s not focused on your food. While most of us know not to talk with our mouth’s full, try not to listen with your mouth full, either. If you find yourself engrossed in good dinner conversation, put down the fork and give your fellow diners the attention they deserve. After they finish their point, pick the fork back up, and give your food the attention it deserves. Take a moment to notice your dinner’s colors, textures, aromas, flavors, temperatures, and mouthfeel. Savor everything about this particular eating experience—after all, it only comes around once a year! Out of site is out of mind. You probably didn’t realize you wanted another serving of stuffing until the heaping platter caught your eye. The tablescape plays a big role in how much we eat. The more food that’s in front of us, the more tempted we are to overeat. Especially if your favorite food is conveniently located inches from your plate. Rather, have guests serve themselves in the kitchen or at a separate serving table—and leave the food there throughout dinner. If you’re still hungry, by all means, go get seconds! By physically standing up to do so, your decision to continue eating is a more conscious one. Remember how many Thanksgiving dinners you felt almost sickeningly full? Then remember how when dessert was served, more room in your stomach magically appeared? Most Americans stop eating when they’re full (and in many cases, ‘full’ means ‘in pain’). Those in leaner cultures stop eating when they’re no longer hungry. In fact, the Okinawans—Japanese islanders known for their longevity—have an expression for when to stop eating. They call the concept hara hachi bu—eating until you’re just 80 percent full. Studies show that if you serve yourself 20% less, you probably won't even notice. Study participants noticed when they were served 30% less, but a 20% a difference flew under their radar. This pasta recipe has everything I look for in a summer dish: local, seasonal produce, few ingredients, and the option to serve it chilled. Not only are there only 6 ingredients in this recipe (besides salt and pepper), but all the ingredients are on sale from 7/19-7/26. While any zucchini, chicken breast, and pesto will work in this recipe, I recommend you support our local food system and choose our local zucchini (grown by Ruhlig Farms in Carleton, MI), Miller chicken (raised by Amish families in Orland, IN), and Gotham Greens pesto (made with basil grown in greenhouses on the southside of Chicago). You can make zucchini ribbons with a regular vegetable peeler. Zucchini ribbons have a similar shape and texture as fettuccini. They can help cut your carb intake by replacing some of the starchy pasta with a veggie. They also add a nice pop of color to the plate. Click here to download a printable recipe card. I love a good grain salad, especially in the summer. Served chilled, it’s perfect for hot days when we swap out heavy dishes for lighter fare. This recipe in particular has a lovely balance of flavors. It’s part fruity, part bold, part citrusy, and a total crowd pleaser. Serve it as an accompaniment to whatever’s coming off the backyard grill. Or eat it all on its own for lunch. Between the quinoa and the cashews, there’s enough protein in this recipe to keep you full until dinner. If you haven’t yet embraced quinoa (pronounced KEEN-wah), this recipe is a great introduction. Although it’s technically a seed, quinoa behaves like a grain. In fact, you can use quinoa just about any place you would use rice, and it cooks up in much the same way. Like rice, quinoa is also gluten-free. The kernels are small—about the size of couscous—but they pack a big nutritional punch. Quinoa is unique in the sense that it’s a complete protein, meaning it supplies all the amino acids we can’t make ourselves. Not many grains can do that! Quinoa was a staple food of Andean peoples. The Incas considered it to be sacred, referring to it as chisoya mama, or “mother of all grains.” Today, over 90% of the quinoa that’s available in the U.S. comes from Bolivia or Peru.There are many varietals of quinoa; you may notice white, red, or black quinoa on Sunset’s shelves. Nutritionally, each variety is very similar. Experiment with different colors to keep your pantry interesting. So you’ve chosen your oil wisely. Now what? As a follow-up to Healthy Oils Part 1, here are more tips about how to keep your oil fresh for the longest amount of time possible. Light is oil’s enemy; too much light will cause the oil to break down. Look for oil packaged in dark-colored glass or plastic that filters out light. Store your oil in a cool, dark cabinet—not the cabinet above the stove, and not on the counter-top—to minimize exposure to light and heat. Even if gallon jugs of oil are on sale, don’t buy them. The larger the container, the larger amount of headspace above the oil’s surface. The larger the headspace, the more the oil interacts with the air in that headspace. This oxidizes the oil, creating harmful free radicals—the opposite of antioxidants. To minimize oxidation, purchase oil that’s packaged in a relatively small container. Rancid oil doesn’t just taste unpleasant, it’s bad for your health. Your nose is the best indicator of rancidity. If your oil has that characteristic rancid odor (which smells like Crayons), it’s time to toss it. Avoid reusing oil you’ve already cooked with; reheating oil accelerates its deterioration. Sunset’s selection of oils ranges from the familiar to the exotic. While there are many different types, not all oils are created equal. Each type of oil is unique, with its own set of benefits and drawbacks. The right oil for you depends on how you’re using it, your taste preferences, and what sort of health benefits you’re looking for. Here are some tips for choosing wisely. Saturated Fat is sometimes referred to as “bad” fat that have been shown to raise “bad” LDL cholesterol, increasing risk of heart attack and stroke. Use these fats in moderation. Saturated fats are solid at room temperature, and usually come in the form of animal products like red meat, butter, cheese, and ice cream. Coconut oil and palm oil are exceptions to this rule, as they are plant sources of saturated fat. Unlike other plant-based fats, they are solid at room temperature. Monounsaturated Fat (MUFA) is considered “good” fat. They have been shown to lower “bad” LDL cholesterol and raise “good” HDL cholesterol. Diets rich in monounsaturated fats are associated with a decreased risk in cardiovascular disease. Monounsaturated fats are liquid at room temperature. Avocado oil, canola oil, olive oil, and peanut oil are all good sources of monounsaturated fats. Oils that include the term “high-oleic” on their label have been modified to contain more monounsaturated fat. This is common for safflower and sunflower oils. Polyunsaturated Fat (PUFA) is also considered “good” fat that has a positive effect on our cardiovascular system. These fats are liquid at room temperature. Many oils are mostly polyunsaturated fats. These include: corn, flaxseed, grape seed, safflower, sesame, soybean, sunflower, and walnut oils. At this point, we’re not exactly sure what the most beneficial ratio of MUFA to PUFA is. We do know they’re both good for us, and replacing saturated fats with MUFA and PUFA improves cardiovascular health. Omega-3s and omega-6s are two types of polyunsaturated fat. Omega-3s reduce inflammation in the body, whereas omega-6s promotes inflammation Both are essential to the body, meaning the human body can’t make them and they must come from food. However, Americans tend to eat way too much omega-6s and not enough omega-3. A favorable omega-3 to omega-6 ratio reduces risk of inflammatory diseases like cardiovascular disease, cancer, type II diabetes, and neurodegenerative diseases. Omega-6s are found soy oil, corn oil, grape seed oil, safflower oil, and sunflower oil, which are often used to make popular processed foods like cookies, crackers, and chips. Oils that are good sources of omega-3s, like canola oil, walnut oil, and flax oil, are less popular, though healthier choices. Not all oils can take the heat. When cooking with oil, smoke point is important. The smoke point is the temperature at which oil will begin to smoke. At this point, the oil chemically breaks down and produces free radicals that are harmful to health. Oils that are heated past their smoke point may also impart bitter, unpleasant flavors. High smoke point oils, like avocado oil and safflower oil, are best for high-heat cooking like grilling, frying, and stir-frying. Save low smoke point oils, like walnut oil and flaxseed oil, for salad dressings and garnishes. Oils come in refined or unrefined versions. Refined oils will say so on the label. Unrefined oils may use terms like “cold pressed” or “virgin” on their label. The more refined the oil, the higher the smoke point. This is because the refining process removes impurities that cause the oil to smoke. Because these impurities also serve as flavor compounds, refined oils have a more neutral taste. For example, choose refined coconut oil when you don’t want your dish to taste like coconut. Choosing refined oils is a nutritional trade-off, however, as refined oils have fewer nutrients. For example, the “impurities” found in extra-virgin olive oil not only give olive oil its bold, botanical flavors, but are also antioxidants. Some oils have a neutral flavor that makes them versatile in the kitchen. Mild-tasting oils include canola oil, safflower oil, sunflower oil, grape seed oil, and “light” (light in color and taste, not in calories) olive oil. Others lend themselves to bold flavors that can transform your meal. For example, avocado oil, coconut oil, and extra-virgin olive oil are fruity in flavor (unless they’ve been refined). Flaxseed oil and walnut oil have nutty and earthy flavors. Use peanut oil or sesame oil when you’re going for bold Asian-inspired flavors. There’s so much to consider when shopping for oil! Here’s a handy chart to help you make the wisest choice in the aisle. Check back later this week for more tips on choosing and storing oils properly. When it comes to meeting nutrient needs, I take a “food first” approach. But where food comes up short, supplements can help fill in those nutritional gaps. I wanted to take a minute to express my enthusiasm for Carlson fish oils: one of the only supplements I take. To meet our needs for omega-3 fatty acids, specifically EPA and DHA omega-3’s, we must eat fish at least twice a week. EPA and DHA are responsible for reducing inflammation, promoting healthy brains, hearts, skin, and eyes, even improving our mood. Cold-water fish like salmon, sardines, herring, and mackerel are all excellent source of omegas. However, fish may not always work itself into our diet with that twice-a-week frequency. For diets light in seafood, a good fish oil supplement comes in handy. Because adulteration in the supplement industry is a growing concern, brand reputation matters—especially for fish oil. Nordic Naturals and Carlson are two highly reputable fish oil brands that come to mind. Both products are superior in quality. If you’re interested in a taking a soft-gel capsule, either choice is a good one. Personally, I favor the versatility and (surprisingly!) pleasant taste of Carlson’s ‘The Very Finest’ lemon flavored fish oil liquid. In addition to taste, I appreciate Carlson’s fish oil for its ratio of EPA and DHA. While there’s no official recommendation for which ratio is preferred, keep in mind that EPA and DHA play different roles in the body. EPA has stronger heart, mood, and joint health benefits, whereas DHA promotes brain development, memory, and cognition. At 800mg EPA and 500mg DHA per teaspoon, Carlson’s product has a healthy balance of the two. Though every fish oil supplement is different; if you have specific health concerns, choose one with a ratio that favors the benefits you’re looking for. I enjoy making a quick lemon balsamic vinaigrette dressing with Carlson’s lemon fish oil. My recipe is simple: 1 tsp fish oil + 2 Tbsp extra virgin olive oil + 1 Tbsp balsamic vinegar + a splash of lemon juice + salt and pepper. I’ll also throw my fish oil into any dish that calls for both olive oil and lemon—think Mediterranean salads, taboulehs, yogurt dressing, hummus, and lemon chicken. It’s also perfectly fine all on its own. (If you’ve ever tried flavored olive oil before, it tastes a lot like lemon flavored olive oil). Don’t believe me? Taste for yourself at one of our upcoming demos! Plus score coupons and tasty Carlson recipes. Fish oil isn't the only type of oil that's worth our while. Check back next week for tips on choosing, storing, and cooking with other healthy oils. Concerned About the Safety of Ingredients in Your Food? Us, too. Yes, you read that right. The FDA allows food manufacturers to sign off on the safety of their additives. In some cases, safety assessments are made by those employed by the manufacturer. In other cases, they are employees of consulting firms selected by the manufacturer. Either way, they are hardly independent third parties. As you can imagine, conflicts of interests in this field are an issue. While we wait for this lawsuit to work itself out, we can find peace in fact that there are brands like Wild Harvest. Wild Harvest is a “free from” label, meaning it does not contain artificial colors, flavors, or preservatives. While the FDA doesn’t always make it easy for you to support a safe food system, Wild Harvest does. Look for it on Sunset shelves today. View the full list of ingredients not allowed in Wild Harvest products here. Whole grains are important for everyone's health, especially those on gluten-free diets. Gluten-free cookies, crackers, cereals, breads, and other grain-based foods are often made with a blend of flours that mimic the texture of gluten. Typically, this blend includes corn, rice, or tapioca flour—all of which are gluten-free, though are relatively low-fiber, low-protein, and not fortified with important nutrients. That’s where gluten-free whole grains come in. Whole grains contain all 3 parts of the grain kernel—the bran, germ, and endosperm. Refined grains, on the other hand, consist only of the endosperm. The bran and the germ have been stripped away, leaving behind white, fluffy carbohydrate. Because the bran and germ are the most nutritious parts, whole grains contain more protein, fiber, B vitamins, and other nutrients compared to refined grains. The protein and fiber found in whole grains are important. These nutrients slow down digestion, leaving us feeling full for longer, and promoting a healthier blood sugar response. The b-vitamins founds in whole grains are important as well, especially for those on gluten-free diets. Our government mandates that wheat-based (i.e. gluten-containing) flours and cereals be fortified with important b-vitamins like folate, thiamin, niacin, riboflavin, and iron. Gluten-free alternatives are not fortified, leaving gluten-free eaters at risk of developing deficiencies in these nutrients. Because whole grains are a natural source of b-vitamins, whole grains are a useful tool for helping those on gluten-free diets get the nutrients they need. Luckily, many whole grains are naturally gluten-free. Combine them with your favorite veggies, seasonings, and a generous glug of olive oil. Or enjoy their nutty, earthy flavor on their own! While eating a variety of colorful fruits and vegetables is important, dark leafy greens are perhaps the best nutritional bang for your caloric buck. Dark leafy greens like kale, spinach, collard greens, Swiss chard, and broccoli rabe are like nature’s multivitamins. These greens pack in a laundry list of important nutrients (vitamins A, C, and K, folate, copper, manganese, potassium, iron, calcium, fiber, and antioxidants, to name a few) all for about 30 calories per cup. The more vibrant the shade of green, the more nutrient-rich the leaves. Whereas spinach and kale may be familiar favorites, broccoli rabe is an unsung nutritional hero. Also called “rapini” or “broccoli raab”, this cruciferous vegetable resembles broccoli, but doesn’t form a large head. It has a nutty, robust, and somewhat bitter flavor. The leaves, buds, and stems are edible. Broccoli rabe is delicious when blanched, then sautéed in olive oil, salt, and garlic. Blanching is a type of cooking process (think of it as an abbreviated boil). Place your greens in salted boiling water for only 30 seconds to a minute. Watch as the plant’s color goes from green to greener. Remove with a strainer, then submerge in ice-cold water to stop the cooking process. The blanching process does two important things: it breaks down the plant’s fiber, making its nutrients more easily absorbed in our gut. Blanching also softens the greens, which cuts down the overall cooking time. Still looking for inspiration about cooking with broccoli rabe? We’ve got you covered. Check out these recipes from our broccoli rabe grower. Better yet, watch (and taste!) a recipe being made in-person. Attend our live Broccoli Rabe Cooking Demos and taste this nutritional powerhouse for yourself. Fresh herbs are an opportunity to take flavor from bland to brilliant, without adding salt, sugar, or fat. In fact, a bunch of herbs contains a bunch of nutrients. In addition to vitamins and minerals, the oils in most herbs lend antioxidant and anti-inflammatory properties that can deliver impressive disease-fighting health benefits. Whether you're using a bunch or just a pinch, fresh herbs add aromatic flavors and an attractive pop of color to your plate. Unsure of how to use fresh herbs in the kitchen? Fresh herbs fit into just about any dish. Keep in mind that in most cases, heat destroys the flavor and nutrients of fresh herbs, so they're best when added at the end of the cooking process. Exceptions are hardy, woody herbs like rosemary and sage, which can stand up to some heat. Otherwise there are no "rules" when cooking with fresh herbs—only that you and your guests enjoy eating them. Use the table below as a guide, but don't be afraid to get creative and use herbs in innovative ways! Add basil to salads, sandwiches, pizza, marinara sauce, and pasta. Pair with anything involving tomatoes. Or make homemade pesto. Thinly slice and use as a garnish for any savory dish. Chives are great in dips, in quesadillas, with eggs, and atop baked potatoes. They can also balance the heaviness of rich foods like cream sauces and risotto. Add it to salsa, guacamole, soups, stews, salads, tacos, fish, and chicken dishes. Pairs well with any Mexican-inspired dish. Pairs well with seafood (especially salmon) and anything involving cucumber. Add it to potato salad, omletes, yogurt dressing, and watery cheeses like cottage cheese, cream cheese, and goat cheese. Pairs well with lamb, stone fruit, berries, and chocolate. Add it to ice cream, frozen yogurt, iced tea, and mojitos. Use it as a garnish for just about any savory dish. Chop it up and sprinkle it over eggs, grilled steaks, fish, chicken, lamb, rice, or vegetables. Chop it up and add it to vinaigrette, pizza, rice, or tomato sauce. Pairs well with poultry and wild game. Pairs well with garlic and olive oil. Add it to beef, lamb, chicken, turkey, pork, or potatoes. Simmer stews, soups, or sauces with a sprig on the surface; remove before serving. Stands up well to bold, savory dishes, like cured meats, sausages, por dishes, rich and creamy dishes, and anything invovling brown butter. It's also an American staple in turky dishes and stuffing. Pairs well with white wine vinegar and mustard. Add it to omelets, fish, and chicken dishes. Add it to stews, rice dishes, dips, and sauces. Inlcude it in a bouquet garni to season stocks, soups, and sauces. Pairs well with pork, lamb, or duck, as well as with other herbs like rosemary, parsley, sage, and oregano. Add it to stews, rice dishes, dips, and sauces. To keep fresh herbs from going to waste, treat them like fresh flowers. Place them in a small jar or glass with an inch of water at the bottom. Place a plastic bag loosely over the leaves. Store them in the fridge or on the counter top. OR freeze your herbs for later. Chop your herbs up and pack them into an ice cube tray. Fill each cell with olive oil and place them in the freezer until you're ready to up. Then simply add a cube to your dish, allow the oil to melt, and voila—a pop of herb flavor! Sunset's selection of fine culinary herbs comes from Meyer Farms in Wauconda, IL. Vern Meyer is a pioneer in the packaged herb industry, and Sunset was his first customer back in 1990! His family-run organic farm continues to grow a superior product. Click here to learn more about cooking with fresh herbs! Raising animals is taxing on our environment for many reasons. To put it simply, when we raise animals, we must feed and water them. Animals (especially cows) are quite inefficient at converting food and water into meat. This means it takes a lot of feed (usually in the form of grain) and water to produce small amounts of meat. For example, we must allocate a third of the Earth’s croplands to grow feed for livestock.2 Taking into account the water used to grow the grain fed to cattle, it takes over 1,845 gallons of water to produce one pound of beef.3 Rather than losing energy in the conversion from plants to animals, we could save resources by eating more plants. What about protein? While animal foods are a great source of protein, plant foods have protein, too. In fact, when we get our protein from plants, it is more affordable, has a smaller environmental impact, and doesn’t come with saturated fat and cholesterol like animal protein does. Beans and legumes—like chickpeas, black beans, and lentils—are an excellent source of plant-based protein. In addition to protein, beans and legumes are a great source of fiber. The combination of protein and fiber promotes a feeling of fullness—perfect for those trying to manage their weight. Beans also offer a host of other important nutrients like vitamin C, iron, vitamin B6, folate, copper, zinc, and manganese. Despite their superior nutrition profile, many people have a hard time adding more beans to their diet. Banza products can help break down those barriers to eating beans. Banza makes pasta from chickpeas. A cup of Banza pasta contains nearly half of one’s fiber needs for the whole day. It also contains a whopping 25g of protein—the same amount in a 4oz steak. Celebrate Earth Month by choosing nutrient-packed beans a few times a week. After all, if Americans were to reduce their meat consumption by just 20%, it would be as if we all switched from a standard sedan to a Prius. With a dish as delicious as Moroccan Chickpea Pasta, you won’t miss the meat one bit. For more tips about how to add beans to your diet, click here. Dietary Patterns and Sustainability: Modified NEL systematic review. Scientific Report of the 2015 Dietary Guidelines Advisory Committee. Retrieved April 4, 2017, from https://health.gov/dietaryguidelines/2015-scientific-report/10-chapter-5/d5-3.asp. Livestock and Landscapes [PDF]. (2012). Food and Agriculture Organization of the United Nations. The foods we eat have an impact on our planet. Getting food from farm to fork spends 10% of the total U.S. energy budget1, uses 50% of our land2, and swallows 80% of all freshwater consumed in the United States3. Yet, 40% of food produced in the U.S. goes uneaten4. Food is too good to waste. When we throw away food, we also waste the energy, land, and water that was needed to produce, package, and transport it. Wasted food is the single largest component of municipal solid waste in the U.S.5 What’s more, when wasted food sits in a landfill, it produces methane—a greenhouse gas about 30 times more potent that carbon dioxide6. Even the most sustainably farmed food does us no good if no one eats it. If you’re interested in doing something good for the planet this Earth Month, curbing your food waste is an excellent place to start. In addition to reducing your carbon footprint, you’ll save money. The average American household tosses 25% of the food they buy. For a family of four, this amounts to about $2,275 each year7. Below are some simple ways to waste less food. Commit to two or three (or more!) of these strategies this Earth Month. Even small changes make a big difference over time. Make a list (and remember to bring it with you!). Stick to your list to avoid impulse buys, which often go unused. Buy only what you need. Opt for by-the-pound pricing in the produce, seafood, and deli departments. If a perishable item is packaged in a larger container than you need (for example, you’d prefer to buy only a few basil leaves rather than a whole container), one of our employees would be happy to break it down for you. Make smaller, more frequent shopping trips. You’ll have access to more fresh foods and you’ll trim waste. Purchase a combination of delicate produce items (like berries, greens, tomatoes, and avocadoes) and more durable items (like broccoli, oranges, cabbage, and potatoes). Eat the delicate items first—they’ll spoil faster. Don’t shop on an empty stomach. Everything looks appetizing when you’re hungry, and you’ll probably buy too much food. Keep a snack in your bag and tear into it if needed. Head home after your shopping trip. Try to make food shopping your last errand of the day. If it’s a long ride home or you must make a stop after shopping, keep a cooler in your trunk. Conquer clutter. Out of sight is out of mind (and usually, wasted), so avoid overstuffing your fridge and freezer. Practice FIFO—or “first in, first out”. When you buy fresh groceries, move older items to the front and place the newer items near the back. Designate an “eat me soon” area of your fridge, and place items there are nearing expiration. Move fruits and vegetables out of the crisper drawer—it’s too easy to forget they’re in there. Keep them in the center of your fridge instead. Choose transparent storage containers. Knowing what’s inside a container will help you remember to eat it. Avoid washing your fruits and vegetables until you’re ready to eat them. Too much moisture will cause these items to rot faster. Treat fresh herbs like fresh flowers. Store them in a jar or small vase with an inch or two of water at the bottom. Cover the top with a plastic produce bag. They’ll stay fresh for weeks this way. Remove milk from the refrigerator door. The door is the warmest area of the fridge, so keep more perishable items in the interior. And remember, the lower the shelf, the cooler the temperature. Store uncut avocadoes, bananas, cantaloupe, garlic, kiwi, onions, pineapple, potatoes, and tomatoes at room temperature. Citrus fruits can be stored at either room temperature or in the fridge, but never in a plastic bag. “Use by” and “best by” dates are manufacturers’ suggestions for peak quality. Because manufacturers aim to preserve their brand’s reputation, these dates are often overly conservative. Label dates do not indicate food safety. Eggs or yogurt, for example, are often safe to consume for weeks past the “best by” date. Use your senses to determine if something is safe enough to eat. Label dates are not regulated (except in the case of infant formula). Love your leftovers. Have a leftover night, or box them up and eat them for lunch the next day. Make a “clean the fridge” stew. Throw in whatever you’ve got on hand, like vegetables, fresh herbs, last night’s stir-fry, potatoes or onions that are beginning to sprout, and half-used containers of broth. Can’t finish your greens before they get slimy? Opt for baby kale or baby spinach. These greens are tender enough to make fresh salads, yet hearty enough to stand up to some heat. Sauté them or add them to stew when they begin to wilt. Can’t finish a loaf of bread before it turns moldy? Store it in the fridge or freezer instead of on the counter top. Frozen slices of bread can go right from the freezer into the toaster. Repurpose stale bread or bagels into breadcrumbs, bread pudding, croutons, or crostini. Use smaller plates and bowls. Opt for no larger than 9-inch dinner plates and 12-ounce cereal bowls. In addition to curbing waste, research suggests that we eat fewer calories when we use smaller dinnerware—and we don’t even notice! Good for the environment and your waistline. Enable seconds rather than over-portioning firsts. Make it easy for family and guests to help themselves to more food by serving family-style. If children are prone to over-serve themselves, portion their meals for them. When dining out, ask your server about portion sizes before ordering. Inquire if half sizes are available, or have your leftovers boxed up (it’s not faux-pas!) if you’re unable to finish a whole portion. Look out for more sustainable-eating strategies throughout Earth Month! M. Webber, "How to Make the Food System More Energy Efficient," Scientific American, Decemeber 29, 2011. USDA Economic Research Service, “Major Uses of Land in the United States,” Pub. 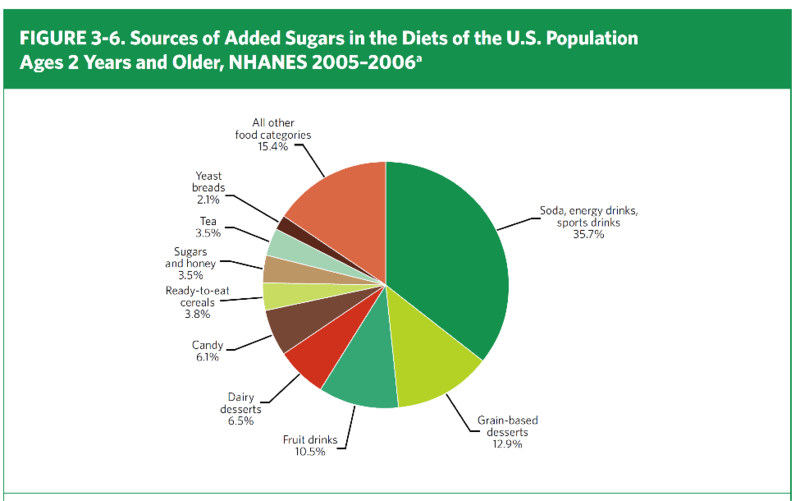 2002/eIB-14, 2002, http://www.ers.usda.gov/ publications/eIB14/eib14a.pdf. United States Department of Agriculture (USDA), economic Research Service, economic Bulletin No. (eIB-16), “Agricultural Resources and environmental Indicators,” Chapter 2.1, July 2006, http://www.ers. usda.gov/publications/arei/eib16/. K.D. Hall, J. Guo, M. Dore, C.C. Chow, National Institute of Diabetes and Digestive and Kidney Diseases, “The Progressive Increase of Food Waste in America and Its environmental Impact,” PLoS ONe 4(11):e7940, 2009. Gunders, D. (2012). Wasted: How America Is Losing Up to 40 Percent of Its Food from Farm to Fork to Landfill. Natural Resources Defense Council. Bloom, J. (2010). Home Is Where the Waste Is. In American Wasteland: How America Throws Away Nearly Half of Its Food (and What We Can Do About It) (p. 187). Philadelphia, PA: First Da Capo Press. Many consumers plan to eat healthier, only to find their plans derailed at the supermarket. Sunset is here to help. Your neighborhood Sunset Foods is hosting free store nutrition tours to help customers ‘shop for health.’ Designed to engage, educate, and empower shoppers, our interactive tours transform supermarket aisles into learning laboratories. The goal of the tours is to help participants do three things: identify the healthiest foods in the market, plan meals and snacks to meet nutrition goals, and evaluate products for nutritional value. Our resident Registered Dietitian Nutritionist, Courtney Mayszak, leads these nutrition tours. As Courtney guides shoppers through the aisles, she points out specific products that pack a nutritional punch and discusses strategies for smarter shopping. Shoppers will leave the tour knowing how to navigate the Nutrition Facts label, ingredient statements, and label claims. Tours are personalized to meet the unique needs of each shopper. Customers with conditions such as diabetes, hypertension, or a gluten-related disorder are highly encouraged to take a tour. Choosing foods that help keep blood sugar or blood pressure in check, for example, requires a keen eye in the aisles. The information presented in our tours can be the first line of defense when it comes to preventing and managing chronic disease. Tours are also ideal for those who normally do household shopping or cooking, such as parents or caretakers. Anyone seeking fresh ideas for meals or snacks would benefit from one of our tours. While speaking with a Registered Dietitian Nutritionist usually comes at a price, these tours are now free for Sunset customers. * This is an excellent opportunity to bring questions about nutrition to an expert who can answer them. Nutrition tours are offered at all Sunset locations on a per-appointment basis. To schedule a tour, call 847.681.5513 or email courtney@sunsetfoods.com. Individuals or groups are welcome. *Restrictions may apply. Inquire for more details.